This 10-acre property located on Wagaraw Road is Hawthorne's primary recreation complex. The property contains an outdoor swimming pool, tennis courts, baseball/softball field and a passive recreation area. 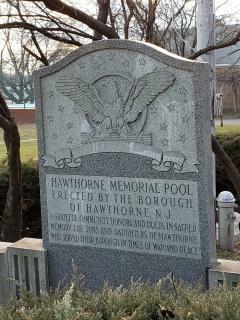 A plaque by the pool reads: "Hawthorne Memorial Pool Erected by the Borough of Hawthorne, N.J. A Grateful Community Honors and Holds in Sacred Memory the Sons and Daughters of Hawthorne Who Served in Times of War and Peace"